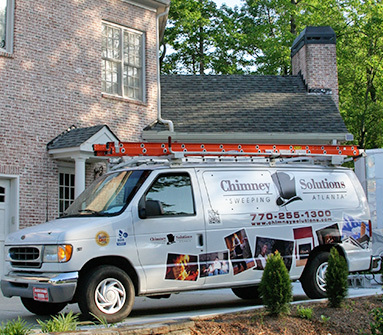 Chimney Solutions provides quality chimney sweep services for Johns Creek GA, and the surrounding towns & communities including Brookhaven, Sandy Springs, Kennesaw, Burford, and Marietta. 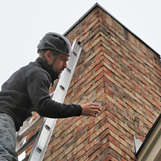 When it comes to chimney services like chimney repairs, chimney inspections, chimney restorations, chimney liner installations, chimney crown rebuilding, masonry repairs, and fireplace installations, you can trust the pros at Chimney Solutions. 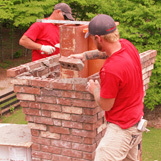 Every chimney technician is CSIA trained & certified to ensure that the workmanship & quality of completed jobs meet the highest of industry standards. 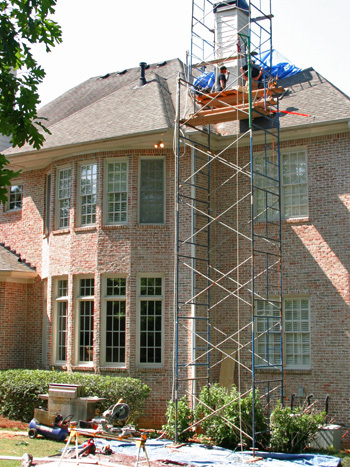 We have built a strong reputation with local residents and have become the chimney sweep contractor of choice for Johns Creek and the greater Atlanta area. That could be why customers continue to return to us year after year to complete their annual chimney maintenance & chimney cleanings. We are a full service chimney sweep contractor that consistently delivers exceptional service and quality work. Our professional and friendly chimney technicians will always arrive at your home on time, in a company uniform, and driving a clearly-marked company vehicle. 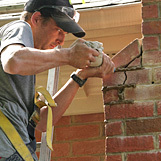 You can rest assured knowing that a qualified contractor is on duty when they arrive at the job. All throughout Johns Creek GA, Fulton County, up & down RT 141, and across State Bridge Rd & Old Alabama Rd, our bright company vehicles can be spotted as our chimney sweeps travel on their way to provide service to local homeowners. 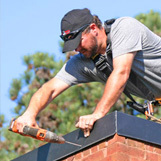 Chimney leak repairs, chimney rain pan & shroud installations, gas fireplace diagnostics, chimney liner replacement, and masonry repairs & rebuilds are just a few of the chimney sweep services offered on a regularly basis. Locals have come to recognize the friendly faces of our chimney sweep crews. We have garnered an excellent reputation in the Johns Creek area, and happy customers regularly recommend us to their neighbors, friends, and family. Our highly skilled technicians will always provide quick service, a fair estimate, and a full explanation of work to be done. Our goal is to stay on top of industry standards, best practices, and changing service techniques, so we remain good standing members of the National Chimney Sweep Guild and the Chimney Safety Institute of America. Contact our chimney sweeps today to get a list of current references and referrals! 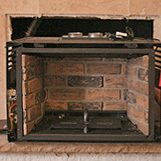 Homeowners should be aware of a common chimney sweep scam that is affecting the industry. There are unscrupulous chimney sweep contractors that are out to fool unknowing homeowners. They advertise prices that are way lower than average for common chimney sweep services in order to win the job. Often times, these fake chimney sweeps are neither trained nor certified to work on your chimney system, which can compromise the safety of your home. Their main goal is to upsell the homeowner into thinking that they need expensive repairs immediately. 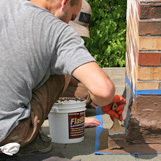 Since most homeowners are unaware of the current condition of their chimney, they have to take a chimney contractor at their word. Don’t give them the “go ahead” until you get a second opinion from a reputable chimney sweep company first. In most cases, these repairs are neither required nor necessary, so it’s best to be safe than sorry. Turn to Chimney Solutions for all of your chimney maintenance needs, including service to your fireplace, stove, insert, chimney and venting systems. Our happy customers have helped us maintain our excellent reputation as the area’s best chimney sweep service.